The National Auctioneers Association is celebrating National Auctioneers Week, highlighting the community leadership and services auctioneers offer rural America, and others. National Auctioneers week runs April 30th, leading up to National Auctioneers Day, May 5th. Learn more about the events and the National Auctioneers Association online at www.auctioneers.org. DENVER — Monday, April 30, 2018 — Gov. John Hickenlooper today sent the following bill to the Secretary of State to become law without signature. Concerning the allowable uses of reclaimed domestic wastewater, and, in connection therewith, allowing reclaimed domestic wastewater to be used for food crops and making an appropriation. DENVER — Monday, April 30, 2018 — Gov. John Hickenlooper signed these bills into law today. Among today’s bill were HB 18-1322, the Long Appropriation Act and HB 18-1323, funding three Pay for Success projects. Jon Chandler is a three time winner of the prestigious Spur Award from the Western Writers of America. Linwood, his moody examination of Doc Holliday’s life won the Spur for Best Song in 2009, while his tribute to Wyoming’s Hole in the Wall country, Morning Star Moon, received the award in 2012. His novel The Spanish Peaks received the WWA’s Medicine Pipe Bearer Award (Spur Award) for Best First Novel, and he was named True West Magazine’s Best Western Musician. His Wyoming Wind, A Novel of Tom Horn, was a finalist for the Colorado Book Award. A seventh-generation Coloradan, Jon’s music and stories reflect his heritage, and his eight CDs, two novels, two nonfiction works and myriad short stories and nonfiction articles are collected by western lifestyle aficionados worldwide. He is finishing a coffee table book for the Nelson Museum of the West in Cheyenne, Wyoming entitled Meet Us in Cheyenne, as well as his next western novel, He Was No Hero. 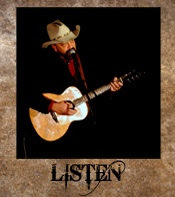 He hosts the iconic monthly concert series America’s Soul Live at the Olde Town Pickin’ Parlor in Arvada, Colorado. Colorado Egg Producers… Producing for Colorado. Farming with Care. As spring cleaning gets underway, the state health department reminds Coloradans to take steps to avoid hantavirus, a rare but potentially fatal respiratory disease from a virus carried by deer mice. People are most likely to get hantavirus by breathing in dirt and dust contaminated with deer mouse urine, droppings or saliva. More people get hantavirus in the spring and summer, often while cleaning up homes, yards and sheds. The Colorado Department of Public Health and Environment has documented more than 110 cases of hantavirus across the state since it began tracking the disease in 1993. There has been one case of the disease in Colorado this year. The case was in a Denver resident who recovered. “If you see deer mice in or around your home, you may be at risk for this illness,” said Dr. Jennifer House, state public health veterinarian. “The more of these mice there are, the greater the risk.” Deer mice have large ears and eyes and white undersides. DENVER – April 30, 2018 – With wildfires already burning homes in Colorado this spring, more than three-quarters of the state in drought conditions and a low snowpack, the possibility of a dangerous wildfire season looms in the minds of many residents. Now is an ideal time for homeowners living in the wildland-urban interface, public lands users and others to become more knowledgeable about how they can join in reducing wildfire risk. CLICK HERE to watch – Thanks to CSU for allowing BARN Media the opportunity to be there! A federal jury reached a verdict worth $50 million in the first of 26 lawsuits against North Carolina pork producer Murphy Brown. An Indy Week Dot Com reports says the jury took less than 24 hours to reach the verdict against Murphy Brown, a subsidiary of Chinese-owned Smithfield Foods. The plaintiffs contended that the company’s waste-management plan makes their lives miserable. The plan consists of storing excess hog waste in open-air cesspools, as well as liquefying and spraying the remains on nearby fields. The plaintiffs say the odors and mist from the spray drift onto their properties, that the hogs attract swarms of insects and buzzards, boxes with dead hogs smell especially bad, and the stench limits their ability to go outside. The trial involved ten plaintiffs who live near Kinlaw Farm in Bladen County, North Carolina, who contracts with Smithfield to raise 15,000 hogs. Smithfield Foods says in a news release that they will file an immediate appeal of the verdict. The American Veterinary Medical Association is pleased with the animal health priorities in the House version of the 2018 Farm Bill. Among the highlights, the AVMA is pleased with the new authorizations and funding for a National Animal Disease Preparedness and Response Program, The National Animal Health Laboratory Network, and a livestock vaccine bank with immediate attention to foot-and-mouth disease. Dr. Lauren Stump, Assistant Director of Government Relations for the AVMA, says the House Agriculture Committee’s work on the farm bill is a great step in the right direction to effectively respond to and prevent animal diseases. “We don’t know when the next major outbreak will occur, but it’s of paramount importance that we prepare for when it does,” she says. “We must take a proactive approach to animal health so we can stop animal diseases before they spread.” Stump says they look forward to continuing to work with Congress to help lawmakers pass a farm bill that achieves the goals of protecting animal agriculture and ensuring consumers have access to safe and nutritious protein. The decision by European Union member states to back the European Commission’s proposal on further restricting the use of neonicotinoids disappointed Syngenta, but it wasn’t unexpected. The company says that wasn’t the right decision for the future of agriculture or the environment in Europe. Syngenta says agriculture needs all the options it has to help farmers ensure that consumers have access to safe and affordable food. Farmers also have to be able to minimize the negative impact and amplify the positive effects agriculture has on the environment. Syngenta says the Commission relied on an unapproved regulatory document called the Bee Risk Guidance Document in making its decision. Syngenta says the decision to propose a further ban on neonicotinoids will not address the challenges we face in ensuring a safe and reliable food supply, while also taking care of the environment. They say the Bee Risk Guidance Document is so conservative and so far removed from the reality of modern agriculture that it would ban most, if not all, agricultural chemicals.